This pattern was created after a trip to a fun quilt shop. All you need is 5 fat quarters and some background fabric to put the top together! It’s even more fun when you shop and sew with friends! 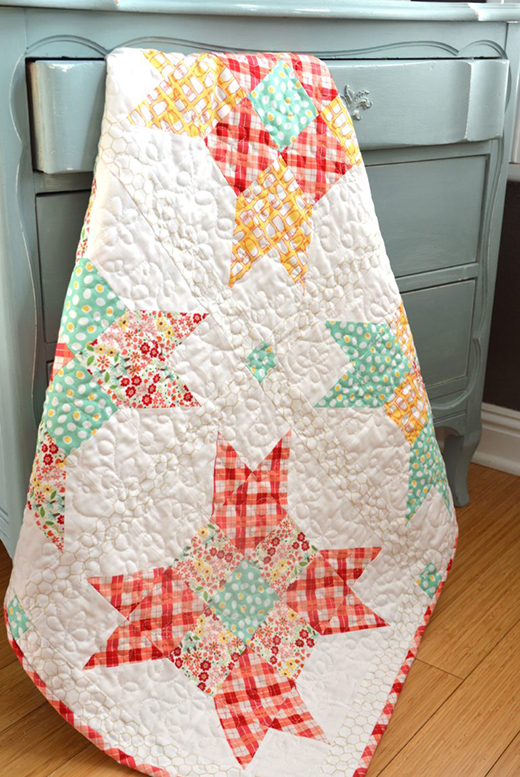 This Five Fat Quarter Fun Quilt designed by Amanda of Jedi Craft Girl & Amber of Gigi’s Thimble, The Pattern is available for free.